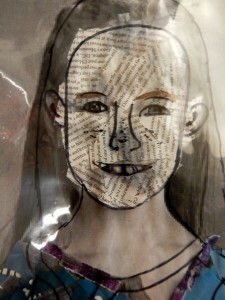 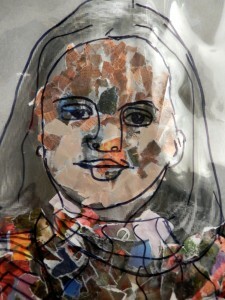 Third-graders made these unusual portraits with a focus on value, or how light or dark something is. 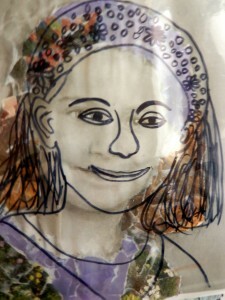 Looking at photos of their faces, they placed a clear sheet of plastic on top and traced the prominent lines with permanent marker. 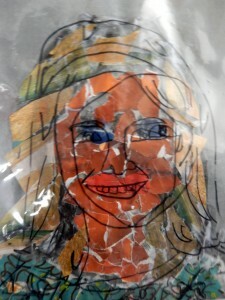 Then they covered up different values with different colors torn from magazines. 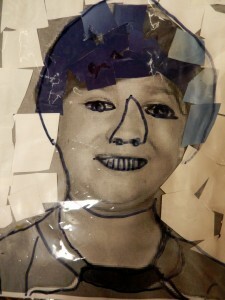 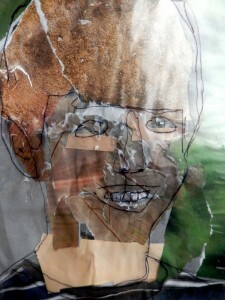 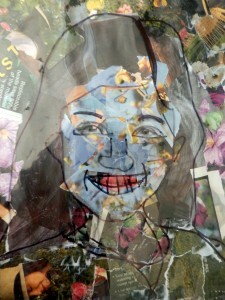 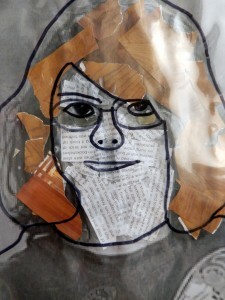 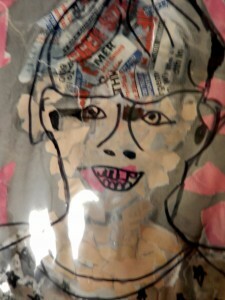 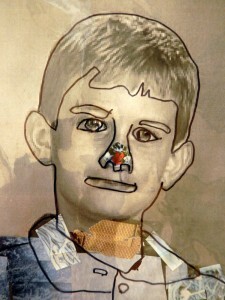 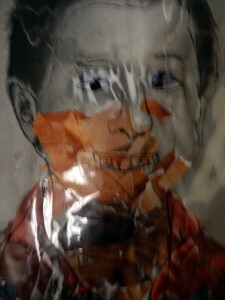 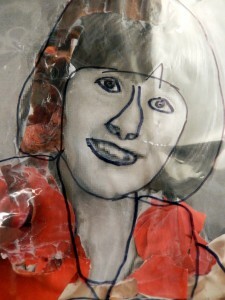 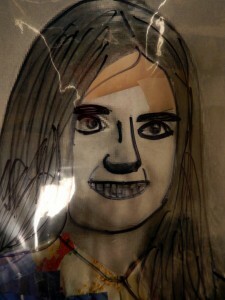 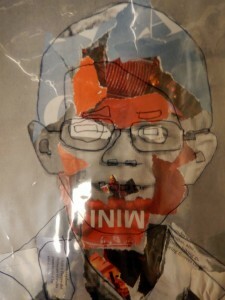 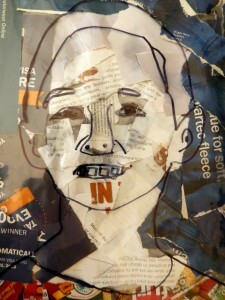 To complete the project, they placed their value portrait under the clear plastic and glued the two together.